A beautiful bride, with her groom standing by, wears her wedding dress and holds a stunning wedding bouquet. The white and pink roses and the lilies are enhanced by touches of blue flowers and small lavender filler flowers. A bride and a bridegroom hold a wedding bouquet consisting of white roses and lily of the valley. 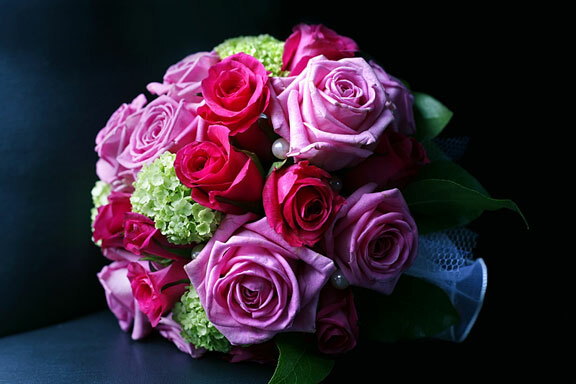 Visit this wedding-bouquet category page on jumblex.org to find editorially-reviewed resources about this topic.